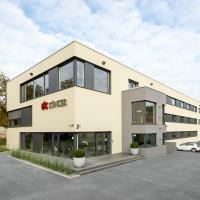 In this area you will find information about the Künker Auction House, about the purchase and sale of coins and gold, and about things it is important to know in order to make a proper and competent evaluation of a coin on the basis of numismatics. 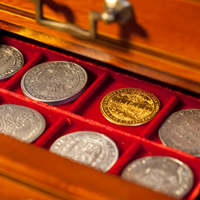 The Fritz Rudolf Künker Company has, since 1971, stood for quality and competence in numismatics. As a European market leader in the coin trade, we maintain contacts of many years’ standing, not only to organizations and scientific institutions, but above all, to you -- our customers. The basis for this work is our passion for coin collecting and for history. We want to make this passion tangible for you, which is why we are happy to share our experience in the coin trade with you. 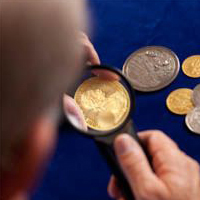 Because we ourselves are collectors and love the coin trade, it is a priority for us to treat our customers, suppliers of coins and gold, and partners as we would wish to be treated: with fairness, dependability, and availability at all times for consultation on numismatic issues and questions. Since 1971 the name Fritz Rudolf Künker has been a guarantee for gold- and coin merchandising with tradition and principle. The family firm is a European market leader in coin auctions, with more than 250 successful auctions and more than 10,000 customers worldwide. It is our goal to offer you, on a dependable basis, the best possible service in the area of the purchase and sale of gold and coins. For that reason: with every sale, every consignment and every purchase, whether at an auction or directly from us in the coin business -- we stake our name and reputation on a secure transaction which is as pleasant as possible for you. It is said that “coin collectors are born, not made”. In the broad field of numismatics, however, terms and words turn up again and again which are not self-explanatory. Here you will find everything you need to know to understand a description of the condition, and degree of preservation, of a coin.